Denverites can expect to see Denver Broncos stars not only on the field, but also zooming along the Interstate 25 corridor on RTD light rail trains during the remainder of the football season. Lamar Advertising Company, PepsiCo Inc. and Denver RTD have teamed up on a new transit advertising campaign in Denver called Pepsi All For Football. 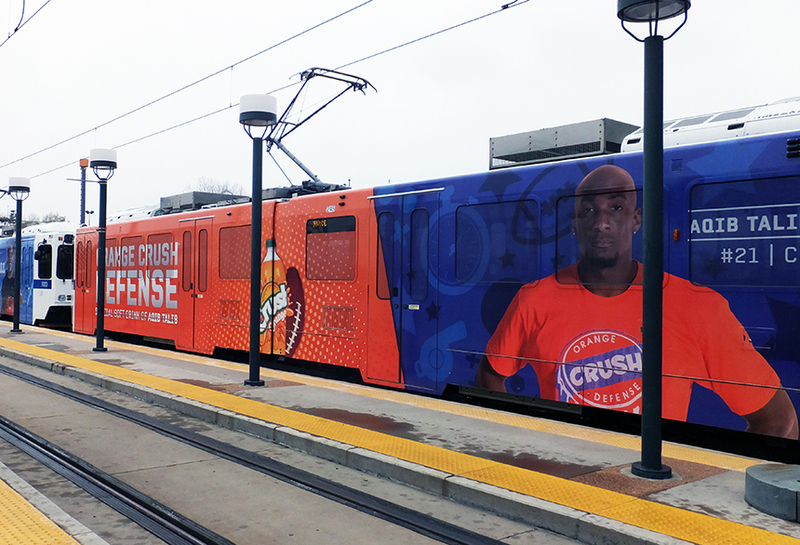 The Pepsi All For Football themed Denver RTD light rail trains feature 10-foot tall decals of Denver Broncos stars Peyton Manning, Demaryius Thomas, Julius Thomas and Aqib Talib on select trains. The Pepsi All For Football campaign features 10-foot tall decals of Denver Broncos stars on select Denver RTD light rail trains. The light rail designs were installed by Lamar Advertising, exclusive advertising partner to Denver RTD and Colorado’s leading out-of-home media provider. The trains were “christened” at the RTD Pepsi Center Station on Nov. 11, 2014. 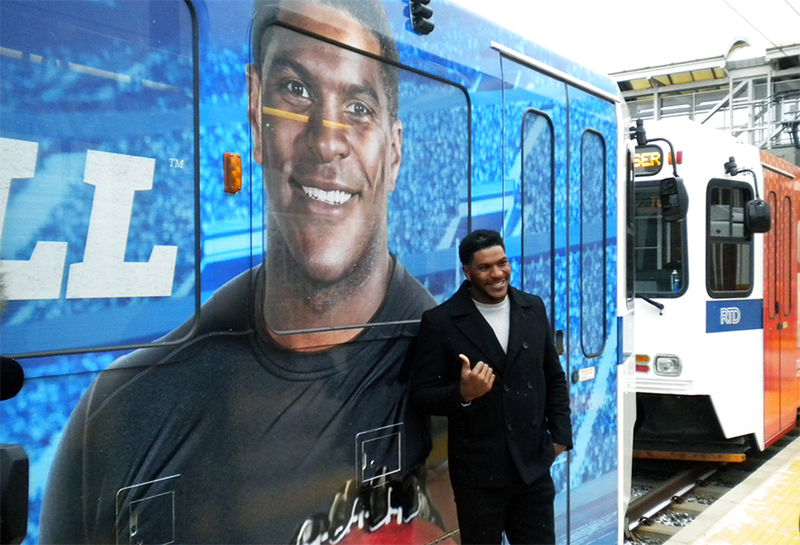 Local football star Julius Thomas was in attendance to sign the train and welcome it to the tracks by cracking open a bottle of Pepsi to celebrate. The player trains can be seen throughout the Denver metro area during the remainder of the football season.